Our next Factory Community spotlight is with Zenas and Christian. With almost a decade of experience, Zenas and Christian decide to start an independent game development studio called QuadraTron Games. They have created many works including Super Rock Blasters, Monsters, and are currently in the process of redeveloping Threshold. Their favorite part of what they do is getting to solve problems and being their own boss. When looking for a space there were a few key factors they needed; location, community, and price. Zenas, a resident of Collingswood, and Christian, living in South Philly needed an office space that was convenient for both. The Factory gave them just that, with it being walking distance for Zenas and located across the street from the Patco Station for Christian. 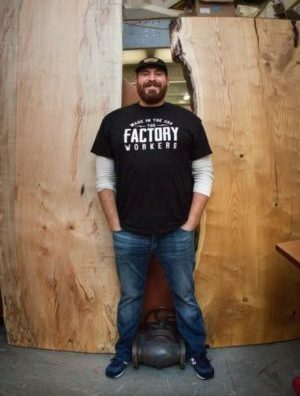 Tom Marchetty is the owner of The Factory, The Factory Workers Gear, woodworker, and a third-generation factory machinery specialist.